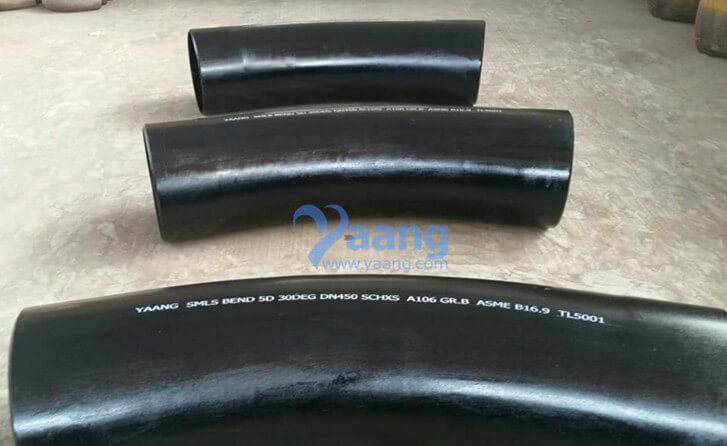 A106 SMLS 30DEG 5D Bend is mainly used for connecting two pipes or tubes,allowing a change of direction. 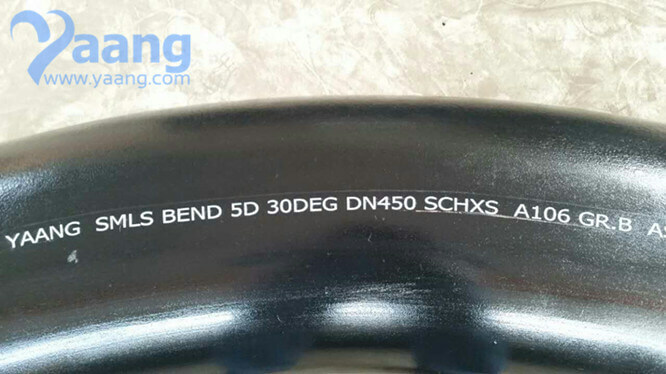 Usually, SMLS 30DEG 5D Bend is made of duplex stainless steels, stainless steels, alloy steels, and more. 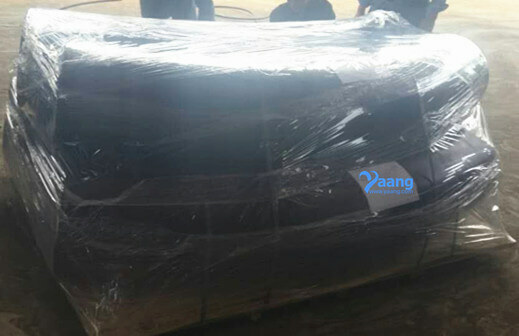 all the size can product according to the clients' requiry. The RADIUS of a 5D bend is actually what is 5 times the nominal diameter. 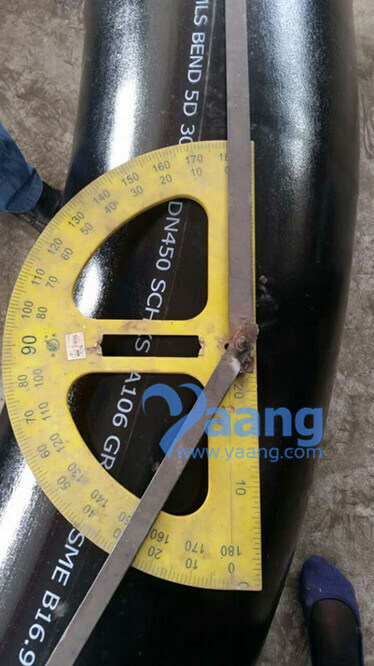 So if you had a 10" diameter pipe, the radius of the centerline of the bend would be 50 inches. 2. 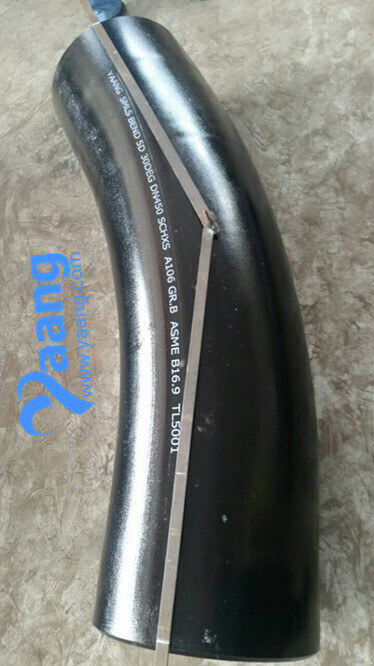 The A106 SMLS 30DEG 5D Bend is constructed of heavy materials for rigid applications like extreme high/low temperature resistance etc. 3. The A106 SMLS 30DEG 5D Bend is specifically designed for uses on process and control systems, instrumentation, and equipment used in chemical, petroleum, fluid power, electronic and pulp and paper plants. 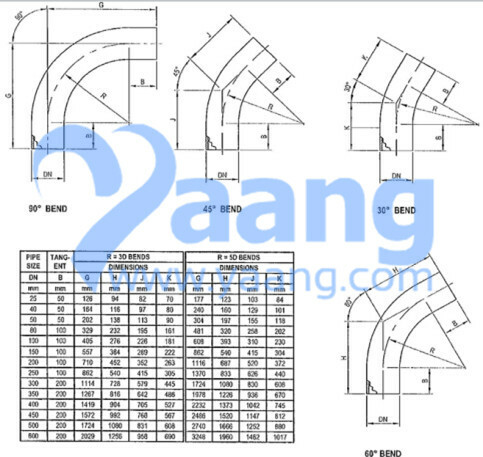 Where can we find the high quality ASME B16.9 GR.B A106 SMLS 30DEG 5D Bend.